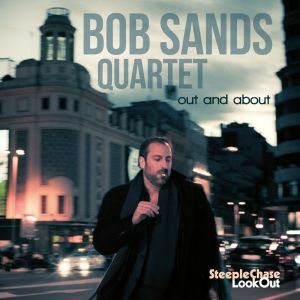 Saxophonist Bob Sands toured Europe in the 80s with The Lionel Hampton Orchestra and decided to make Madrid, Spain his home in 1992, where this album was recorded with his regular quartet. 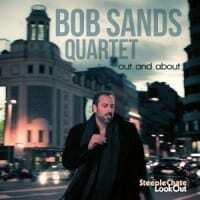 They perform an album of mainly Sand originals, alongside standards by Duke Ellington, Jerome Kern and Richard Whiting. Born in Manhattan in 1966 Bob started to learn piano at age five and saxophone at nine. He graduated from the Eastman School of Music with BA in 1988 and further earned the Master Degree with honours from at the Manhattan School of Music in 1991. He has performed with top jazz artists including Dizzy Gillespie, Gerry Mulligan, Mel Lewis, Clark Terry, Ron McClure, among others. In Spain he leads his own group which is presented on this album and a big band with which he regularly gives concerts in Madrid.